I want to see videos of the goose hit. I couldn't make this one, but watched the broadcast at home. Thanks for making it a good one to follow Doc, Paulie, Tiffany, and Tyler. Wow! What an experience. I want to thank Champ Car for the opportunity to participate in this event. We had a great time and learned a lot for our first race event ever. The competitors raced us clean(mostly) and even though we didn't make it to the end due to some kind of electrical issue in the transmission we had a great time. The Crown Victoria Interceptor was no doubt the biggest car out there but in performed well considering its size. Thanks again and keep your eyes open, you might see us again. We Finished! That was priority 1. Finished 25th overall and 17th in class. Class C is tough. Best lap of 2:23.3. We had a disagreement with the Racebar Lasershark car in the first stint. My apologies to them. Driver saw the green from the flag stand on the front straight while in 2-3 and gassed it, passed 3 cars, had an car behind him that saw the green too and stuck the nose into the apex on 4. Damage to front right headlights/body/hood/core support. Sorry again. That is where i saw the most issues of contact when going from the yellow/purple to green flag and the gap between drivers knowing from the pits or seeing the flag stands. Other than getting hit by the 307 car twice from behind (once with me driving going into the uphill esses during a 3/4 shift, -totally understandable) we had no other contact. We had two drivers new to the car and they both did well. 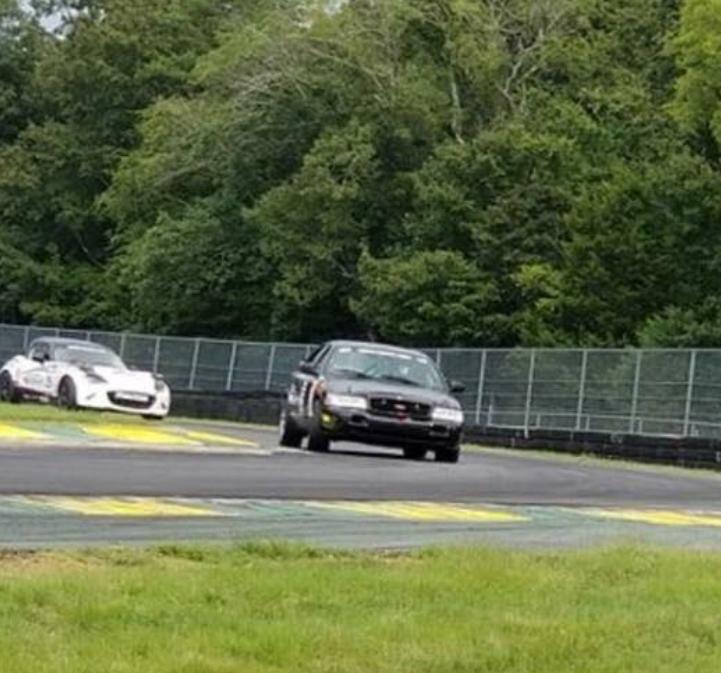 Apparently VIR is harder on brakes than Daytona or Road Atlanta. We had issues with boiling our fluid in the fronts so we had to bleed the brakes twice. That cost us some time in the pits. The oil-down at the top of the hill at night was 100% terrifying as I went off as well as several others. One other issue I noticed was cars leaving the pits and just DUMPING fuel everywhere. I was behind a Miata doing this and I can tell you, gasoline is still made of oil...ask me how I know...The Cobalt was a bit scary to come up on at the wrong time, but I don't feel they drove dangerously. I think for the most part, people were respectful and gave space, especially in the big braking zones. Thanks to the guys at Hugh Jass for being my beacon during my night stint. I latched on like a hungry tick for about 10 laps from 9-11 ish. Big congrats to all the winners and the finishers. Special Shout out to the INACTIV guys as I told them they were due for some good luck in light of their struggles in the last few events. So happy for them and their class win. Team Hugh Jass had a great time at this race. We retired from our first ever 24h in 2017 after 23 hours, so were determined to finish the race this time. We're a relatively new team made up of friends who met online competing in iRacing, and translated our efforts to a real car last year. 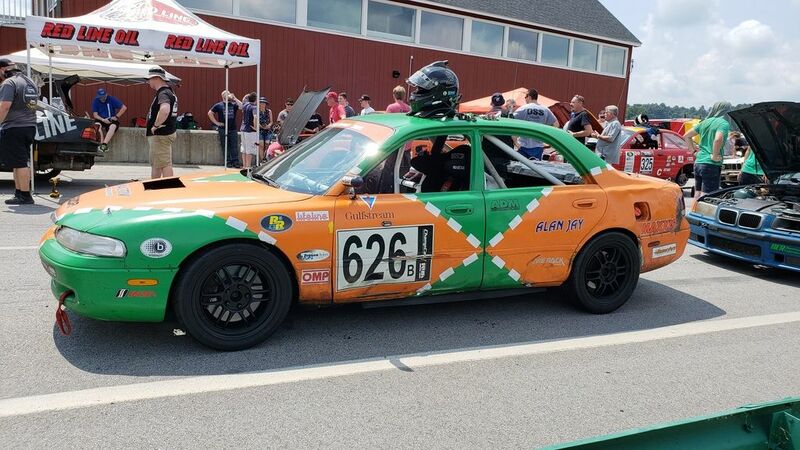 We don't have the fastest car (1.6 Miata) or the most experienced drivers/crew, so our focus is putting out a clean and reliable car with consistent lap times and strategy. Everyone arrived throughout the day on Friday, a lot of the team were meeting in person for the first time so we quickly bonded over some karting, some beer (thanks Racebar), and motorsport trivia. Set up the pits on Saturday morning and made friends with @pintodave and the rest of the Cage Gage crew - top guys and gals. Got off to a decent start in the race itself, some close racing in the first hour. Had our first major incident about 90 minutes in when the JSK Maxima locked up in the middle of Oak Tree and pushed us into the tires - no structural damage so we finished the stint. Team and driver were really apologetic about the contact which we appreciated. Tried to find a rhythm for the rest of the afternoon, with only a quick spin in the lower esses. Second major incident occurred around 7pm when the K&H Mustang side-swiped us with a pretty decent hit. Hit the right-front corner the worst, knocked the steering out of alignment and dented the bodywork all down the passenger side. 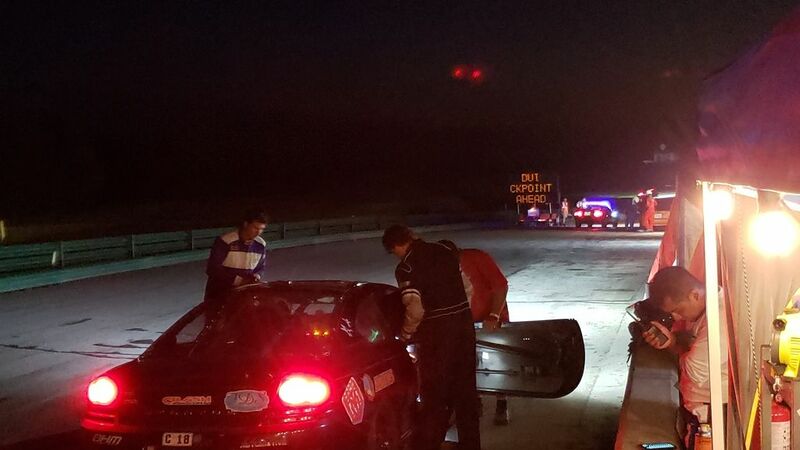 Driver of the Mustang was very dismissive but we chatted with the team owner later and he apologised for the contact. Kept going with this damage until another incident at 10pm when I hit some oil in Roller Coaster, damaged the splitter on the bouncy trip through the grass, and decided to pit to the paddock as it would be a caution to clear up the spill - we fixed the alignment and bodywork with a big hammer, and sent the car back out for the night. Rest of the night passed smoothly-ish, with the only major moment happening when I misjudged the closing speed of the Bronze Cobalt in the middle of the Esses and, as he drifted over into my line, had to take to the grass on the outside to avoid a big accident. Partially my fault for sure, but the crazy closing speed coupled with the lack of visibility at night meant that this sort of incident was inevitable. Luckily no more damage than we had already and we made it through the night unscathed. Put our faster drivers back in for the last three stints and made it home with 3rd place in Class A and 12th overall. We're really proud of this result for a team of novices in one of the slower cars out there, and will hopefully be back next year with a bit more pace and experience. I'll put together a full post-race recap gallery this week with all our highlights (and lowlights), but tremendous thanks to all the ChampCar crew and VIR for hosting an awesome event, there's really nothing else like it! Literally just got home an hour ago from our VIR 24hr misadventure. Started off with one of our one tow vehicle breaking down 12hrs away from home...and 3.5hrs away from VIR. Fortunately one of our guys were the track with a suitable truck to come up and pick up race car/trailer to continue down. We were able to repair a busted high pressure oil line enough to limp to the rest area a mile away and just left the truck there for the weekend. Drove the rest of the way arriving at the track around 5:30am saturday...already being awake 24hrs...and now to get ready for practice and race for 24hrs. UGH. Too much to type. I made an instgram video post. If you're curious...click the links. 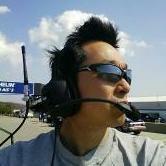 I've heard this happen before at VIR when working F&C during an SCCA race a couple years ago when a Spec Miata hit one. I've renamed geese as "Low Flying Fast Food"
Currently on the road back to Birmingham. I'll type something up tomorrow about our adventure this weekend. First time -ever- failing tech. Apparently using a tie-down is the improper way of securing a radiator. . . Where's the sense of adventure?! -Bring 2 more extra optisparks. -The light limits in the rules are completely ignored; go big. We couldn't see crap at night and we're maxed out on what the rules allow. -Tack weld anything that you'll never need to remove, ie extra oil fill plugs. -Put a stupid hood on the car. We're aero limited. Would pull away in the back stretch from cars, only to have them reel you back in because you're hitting an air wall. -Install an external vent/catch can. One of our drivers launched a fireball puff from the stock system not being able to keep up with the crank case ventilation and oil hitting the exhaust. -Need to move the temp sensor from the side of the head to the water neck. When I first went out, I'd run a hot lap or two only to have the temp climb to 230 and back off for two laps to cool down. We use the the long acre SMI gauges, the temp prop is extremely short, doesn't even stick out past the NPT plug that goes into the head. Our oil temps were fine at 250-260. Since the sensor resides between the two exhaust ports, I think we were seeing a lot of conductive heat transfer through the cylinder head into it, giving a false reading. -Need better com's. We have a baofeng setup; can only communicate in about 1/4 of the track nearest the pits. Need to get a motorola digital setup. -The vette is surprisingly gentle on tires. We beat the piss out of our falkens but after about 14 hours-ish of total racing, they still have about half their life on them. We dyno'd the vette; 310 HP and 330TQ. We felt like we were running an extremely cheaty (LT4) motor so we just go EC class yet there were some other cars out there that were pulling on us pretty much the whole track. Would love to run D class and have a chance at something. Thinking of writing a petition about this. #Freethecorvette. Slight continuation of the discussion of the subject in the previous thread. Yes, the cobalt was slow. But I'd rather have slow cars out there than fast cars who think it's a good idea to run 3 wide up the esses. I was passing a much slower car on the way up, I obviously had to slow down as to make sure they had as much line as possible. I was horrified when a 3rd car decided we were both going to slow and shoved themselves against my left door. I instantly backed off, the third car almost swallowed the other car I was passing; the car getting passed had to go hard over the curb to avoid contact. Overall, there was some really good competitive driving out there but there were also some people that were simply way too aggressive. I'll start loading video's after I get them off the go-pro. Thanks to the staff for putting on such a well run event! Thanks to Quantum for saving us when we lost an oil plug! For those of you who coach, here's your opportunity to enrich the series. InActiv Motorsports had a pretty good race at the VIR 24 and we'll have more photos and video later. Our little 4-door 2.0 liter finished 15th overall and we won B-class. 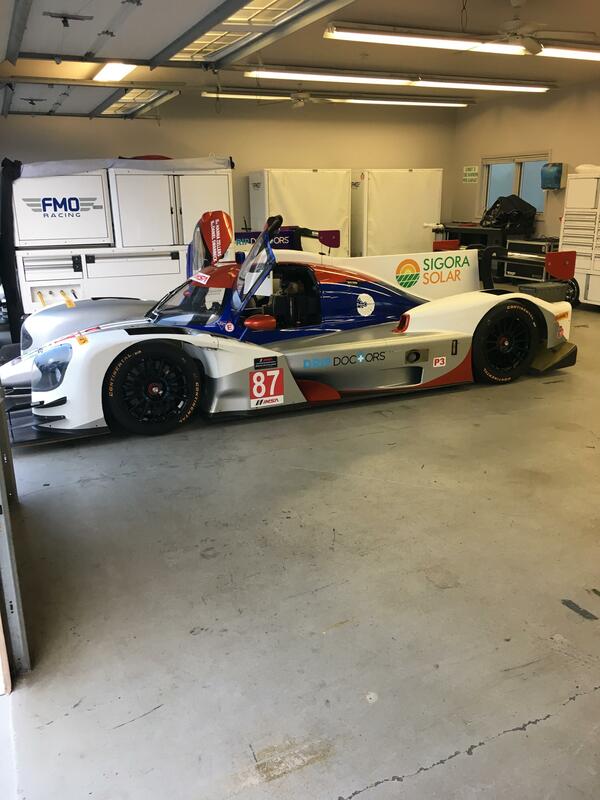 We ran spot on pit schedules and despite having plenty of window to take advantage of FCY fuel stops, they simply came to us. We had a number of them under FCY. Our goal is the same as everybody else...reliability and full 2-hour stints. A good group of rental drivers helps tremendously. 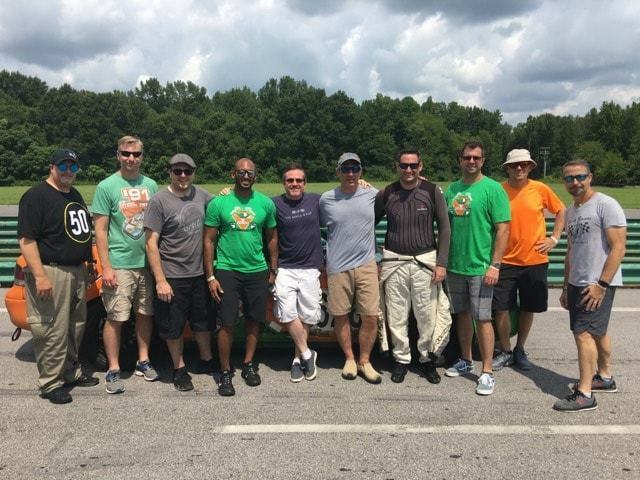 Hats off to Andrew B., Jason C., Mark V., Thad G. and Steve M. for solid driving and bringing our car back safely at the end of every stint. We ran pretty consistent laps throughout the race. Matt and I finished out the last 2 stints, but by that time, we had a considerable lead in B-class and there was really no point in putting our car (or others for that matter) at risk for a position or two in the overall. Especially with a Sebring race around the corner. We had three contacts on-track...one of the KSRD Civics punted us at the top of the roller coaster (14a) and put us into the grass. The #700 BMW came under us into South Bend and knocked our car across the track and down the hill with a right front to left rear contact. And the Sri #67 side-swiped us coming into 11 at Oak Tree. There was just some paint swapped on that one, and big thanks to @chisek and his team for coming to our pit, reviewing our streaming video and clearly seeing that we were the recipient of the contact. 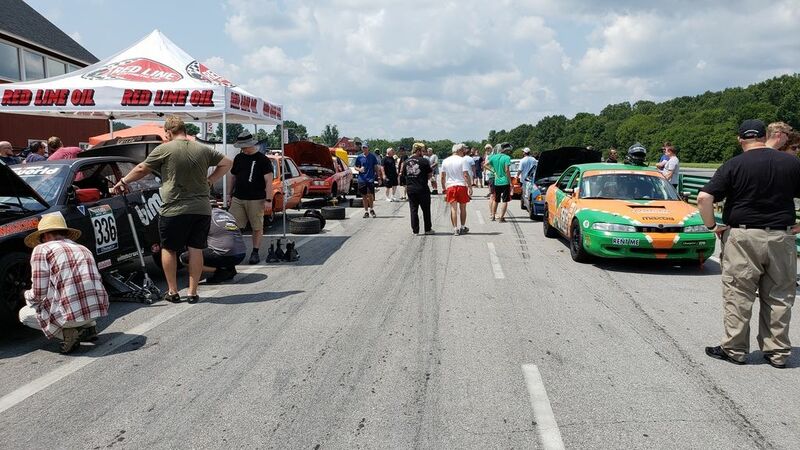 Was nice to have some great weather at VIR this year and we look forward to returning in 2019 (maybe with a faster car?). A big thank you to the Champcar staff and VIR track staff and workers for a great event at a beautiful venue. See everybody at Sebring in 5 1/2 weeks! Note: We have a few seats available for the Sebring race. IS that a dodge stratus? How'd it do? Yes that's the Crash Management Stratus. Fast lap of 2:19 and finished in the 20's. Quick car!